There I was…after a long day of desert qualification flights in Kuwait. We were working on the docks reassembling aircraft, test flying them, and then instructor pilots were taking them out to qualify all the pilots in dessert operations. Dock operations are the safety officer’s nightmare. Hundreds of soldiers are working to restore dozens of aircraft packed for ocean travel to flyable condition. The aircraft are shrink wrapped with cellophane for transport. Once these aircraft are reassembled, test pilots taxi out and fly off the edge of the dock over the water to complete their evaluations. There was a control tower on a narrow strip of land that ran out into the water. Next to the control tower was a helipad where the typical procedure was for aircraft to air taxi from the dock across the water to the helipad and receive clearance from there for takeoff. Conversely, returned aircraft would land on the helipad and receive clearance to air taxi across the water for parking and gas. As I recall, it was my first day to fly in the Middle East. I had no idea what the real desert looked like until I was flying over it. I could literally see puddles of oil seeping out of the ground. The coast of Kuwait had the potential to be incredibly beautiful; however, was a paradise of trash…everywhere. Kuwait could have benefitted from borrowing the ‘Don’t Mess with Texas’ slogan. The message would have likely been lost in the translation. The coastal waters consisted of floating oil and trash. This is the stuff environmentalists’ nightmares were made of. It was late in the day and we were returning on bingo fuel. The instructor pilot had pushed the typical fuel reserves to squeeze one more set of qualifications in for the day. We were cleared to land to the pad next to the tower and were anxiously requesting clearance to taxi across the water to parking since our fuel was extremely low. The tower controllers would not have been happy if we had to shut down on the approach helipad and wait for a fuel truck. As the seconds are ticking by and tower continues the instructions to hold, we insisted on clearance to move to parking and was denied. Seconds later, a pilot from our unit called us on another radio to inform us that an “incident” had taken place on the dock, outside of our view. We were told to shut down the aircraft and wait. Bored and unaware of the true nature of the incident, I pulled out the Blackhawk manual and reviewed the fuel flow charts based on the amount of fuel left in our tanks. Sitting there on the ground, I discovered that we had not had enough fuel on board required to cross the water. Based on the charts and the gas gauge, our flight would have ended in the disgusting Kuwaiti water. And we would only have lived by God’s grace. The incident prevented us from a water landing. A test pilot and co-pilot had not cleared the rotor blades thoroughly during ground taxi and taxied the aircraft into a robust light pole. The pole was only scuffed. In fact, two years later when I returned to that very dock, the scar was still there. The aircraft sustained almost a million dollars’ worth of damage as well as damaging many other aircraft around it. Despite the hundreds of soldiers on the dock that day and the material damage, not one soldier was injured in the incident. Without which, I may not be here to share this story. “There I was…inverted with my air medals hanging in my face…” is the way Army aviators start a war story. There are few rules other than that teller of the story gets to be the hero of the story (if he/she so choose) and the facts need to be as accurate as the memory allows. My memories of the events, once vivid, have sadly begun to fade a bit. But, for the sake of storytelling, I will do my best to be accurate. Embarrassingly, I am almost never the hero of my stories but generally the sidekick and even more often than that, the buffoon. Be gentle in your judgement. Enjoy the story. Stop and share one of your own, if you are brave enough. While I will never admit to having been inverted, I intend to stick with Army aviator tradition and tell the story as I remember it. There I was…a hot spring day in southern Iraq, number two in a flight of six. This wasn’t my first time in Iraq, but it was the first time I was flying north out of Kuwait with no plans to return. We attempted to bring everything but the kitchen sink. Someone probably tried to pack one of those in a hell hole, too. It was hot, and our aircraft were heavy. We were in a war zone with a tank of gas, a map, bullets, food, bedding, and possibly a kitchen sink. It was HOT. I don’t mean Florida hot or high noon in July on the beach hot. I mean so freaking hot it was hard to believe that life would continue at this temperature. Now, I remember spring time hot fondly, as I had no real idea what hot was. Any aviator reading this, would by now deduced the high temperatures combined with a heavy packing list have degraded the aircraft maneuverability which would be of concern in an emergency. I was flying left seat with CW2 Phil Johnson. As we continued northward, we performed standard fuel checks with normal results. At first, the situation wasn’t obvious, a minor split in the fuel levels between tank one and tank two. But as we left civilization (I use the term loosely) farther and farther behind, the split in fuel tank levels was becoming increasingly more significant. Mathematically, we had plenty of fuel to make it to the first planned fuel point at an airfield still an hour away. But, visually, tank one was holding steady while tank two was in the yellow. We attempted precautionary procedures to switch the fuel handles, so that the fuel would draw from tank one and even us out a bit. Despite the switch, the indicator in tank two continued to approach the red. Could we limp in 40 more minutes to the airfield with what gas remained? With one, almost full tank, it seemed like we could. The last thing we wanted to do was land in a war zone with no commo and try to flag someone down for help. Phil made the called. Pilots and crews of five other aircraft were ticked that we were declaring a precautionary landing for a possible maintenance issue while we were amid a ground war. Phil and I landed safely in the desert, a highway just over the berm to the east. Within seconds of landing, engine two failed. Seconds later, engine one failed. Had Phil not made the decision to put the aircraft on the ground when he did, gravity would have made the decision for us seconds later. We had been flying too low, too fast, with too much weight to safely autorotate. We would have balled up our aircraft, crew, and kitchen sink in the desert of Iraq before we even had a chance to join the fight. By this time, we were all a bit curious as to the cause of our near doom. An inspection of the log book revealed the fuel system had recently been repaired. Dismantling the repair, we discovered that a valve had been placed backwards and refused to allow fuel to flow out of tank one. We had literally run the engines out of gas seconds after we landed. The repair was made, gas was delivered by truck, and we moved on to fight the war. Phil and I didn’t like each other very much, but we flew together often. Ultimately, he would not return from war with us, but that is a very sad story for another day. 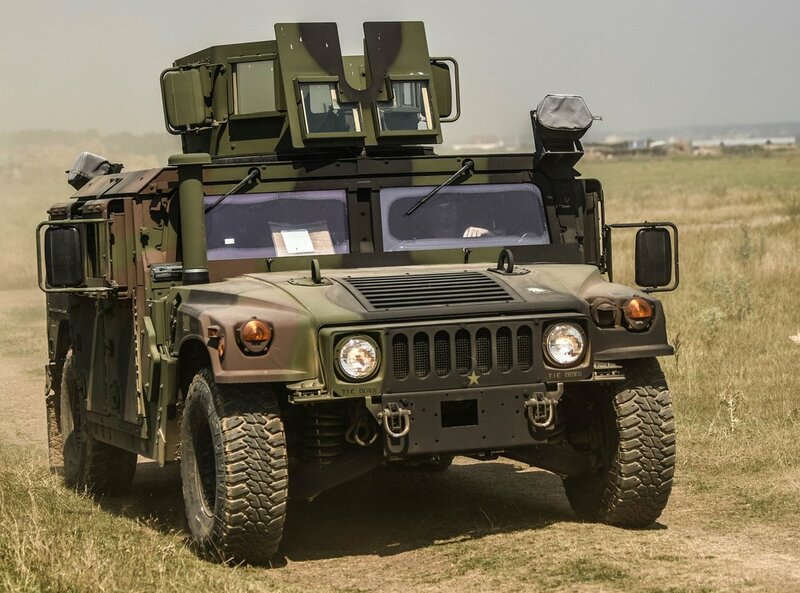 Too often today, legacy performance requirements are invoked on new military ground vehicle programs without giving any thought to whether they will result in a suitable capability or not. It is assumed that by invoking legacy requirements from the M1 or Bradley, that a new vehicle program will enjoy comparable performance. That is simply not the case. So, if available legacy performance requirements are insufficient to ensure suitable operational capability, what characteristics need to be considered for updated performance parameters? There are a few. First and foremost, each invoked performance metric should be operationally relevant. That means that metrics should assess capabilities required to complete an operational mission; not simply testing for testing sake. One example of this type of outdated metric is the ability to ascend and descend a paved 60% grade. Paved 60% surfaces occur nowhere except at test facilities. Paved roads grades are typically capped at no more than 8%, but may have short stretches up to 15% grades; well below the typical legacy test requirement for military vehicles. It is understood that military vehicles should be able to traverse terrain that may not be passable by commercial vehicles. So, is there a better way to assess a military vehicle’s capability to ascend and descend grades? The answer is ‘Yes”. Instead of evaluating a vehicle’s grade climbing ability on a dry solid surface, it would be more operationally relevant to assess that capability on natural soil. Another feature of good performance parameters is a metric that assesses multiple vehicle features with a single test. An example of a multidimensional metric is speed on grade. This parameter considers such features as torque available at the drive sprocket or wheel hubs, capability of the cooling system to stay within operating temperature limits when under load for an extended time and transmission gear ratios and shift points. The last key feature of good metrics is those that are unambiguous. Good metrics identify test conditions such as weight (curb, gross vehicle, or both), (air conditioning on or off), fuel type, air temperature, etc. as well as a detailed test procedure. Now that we have an approved Budget; what’s next? When will we see new start contracts for a given year? The total process takes months to complete. Being that we are at #3 today, it will still take upwards of 60 days or more to trickle down the line to #10. Yes, we can get into an entirely different discussion on how the services and program offices request funding but that’s too over-the-top for the typical industry partner. This is a very simplified look from my understanding of the process on how the money flows. We recently read the below LinkedIn post and found it to be very agreeable with our goals. We thought it was worth sharing. My boss welcomed me into her office & shut the door. I had no idea that meeting was about to deliver the impact of a hand grenade. “Welcome to OUR company. We’re glad you’re here," she greeted me. She quickly moved to a topic sacred to her & to the company: Core Values. She smiled but took on a serious tone. She said, “We stand for 3 things: 1) Do the Right Thing, 2) Teamwork & Trust, 3) Have a Passion for Winning – in that order.” It wasn’t marketing gibberish. These were expected & rewarded behaviors here. She continued, “My job is to make sure the CEO knows who Gary Frey is. Your job, once you’ve built your team, is to make sure I know who your stars are. Hire your replacement & never be afraid to hire people smarter than yourself.” Servant Leadership: She didn’t just talk about it. She LIVED it. She led by example. Her peers & the CEO recognized her for it. She had the most coveted object in our company tucked away on her shelf: a Waterford crystal hand grenade. She never mentioned it. She didn’t have to. It was legendary. A precious few were given by the CEO to associates who had “jumped on the grenade” on behalf of our associates & customers. She remains the best boss I’ve had. My takeaway: Know your core, lead by example, & when necessary, "jump on the grenade."